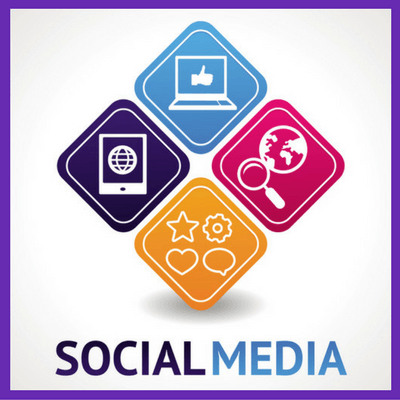 Why should you use social media for your business? Social media is a great tool to get your business products or services in front of more sets of eyes than many other mediums. Social media is a form of word of mouth and viral marketing that relies heavily on friends, family, coworkers and followers to share your messages with their friends, family, coworkers and followers. Remember the saying – 7 degrees of separation? Well, social media, more specifically Facebook has decreased that number noted by Social Media Today in an article from 2011. Can you imagine what it is today? I find it interesting when someone comments on a post of mine and it says Jane Doe (friend of Mary Jones) says…. that’s a great quote (or whatever). I never knew Jane Doe, but how did she see MY post? Well, she saw it because of your friend Mary Jones who evidently liked or commented on a post of yours. Now take that into your business and imagine reaching the friends of all of your followers! Now, do you think that it’s necessary for you to be on social media to help your business grow? You betcha! Now, it isn’t necessary to be on every single form of social media, since there are many – Facebook, Twitter, Google Plus, Instagram, Pinterest and the list goes on. But what you should do is determine the best channels for your target market or pick the ones that you are most familiar with at first and then branch out. Plus, it will depend on the kind of business you are in as well, in that certain social media channels will work better for certain industries. How does social media benefit my business? Well, if you have read this far, you probably get the gist of it already but I’ll humor you with some more insight. That term, search engine optimization (SEO), you have heard so many times, social media helps with optimizing your website for the search engines as well, which in turn helps get your website closer to the top of the search listings. How does it help you may ask? Well, part of SEO includes link building and by having links to your website, that helps your rankings. So, when you link from Facebook to your website for your blogs or other important parts of your website, that gives your website more authority to the search engines, or votes for your website. Remember, we spoke about authority and it being a numbered ranking on how your page is doing compared to other websites and pages, the higher the number, the better chances to show up on top. Further, social media is mostly about engagement with your followers and the big part of that is building relationships which turn to referrals, warm leads and potential customers. We already mentioned that when followers like or comment on your posts that their followers and friends see the post and if that person likes or comments on your post, it can be seen by their followers as well – there is that seven degrees (or half of that per Social Media Today) of separation we were just talking about. How awesome would that be to continue to grow your followers and get deeper and deeper into those separations to where you are into your next seven levels of separation? Most Awesome, indeed! ***Contact me so we can help you reach all seven degrees of separation and get your business engaging with your followers today!